The New Hyde Park-Garden City Park school board approved a resolution Monday opposing President-elect Donald Trump’s nomination of Betsy DeVos as U.S. education secretary. The seven-member board voted 4-1, with one abstention, in favor of the resolution, which came after a request from Ralph Ratto, president of the New Hyde Park-Garden City Park Teachers Association, the school district’s teachers union. Trustee Ernest Gentile abstained, saying he did not know enough about DeVos to cast a vote. Trustee David Del Santo was absent. Trustee Patricia Rudd stated the board’s position to U.S. Sens. Charles Schumer and Kirsten Gillibrand, both Democrats, on Tuesday, when DeVos’ Senate confirmation hearing was originally scheduled. But the Senate Committee on Health, Education, Labor and Pensions announced Monday night that it had postponed DeVos’ hearing to Jan. 17, a move Rudd praised. The district’s teachers union fears DeVos, a Republican who strongly advocates for charter schools, is unqualified and a threat to the public school system, Ratto said. “She [DeVos] does not have any educational experience at all. Zero,” Rudd said. School board Trustee James Reddan voted against the resolution, saying DeVos’ policy stances could change after she takes office and that it would be unfair to oppose her nomination. 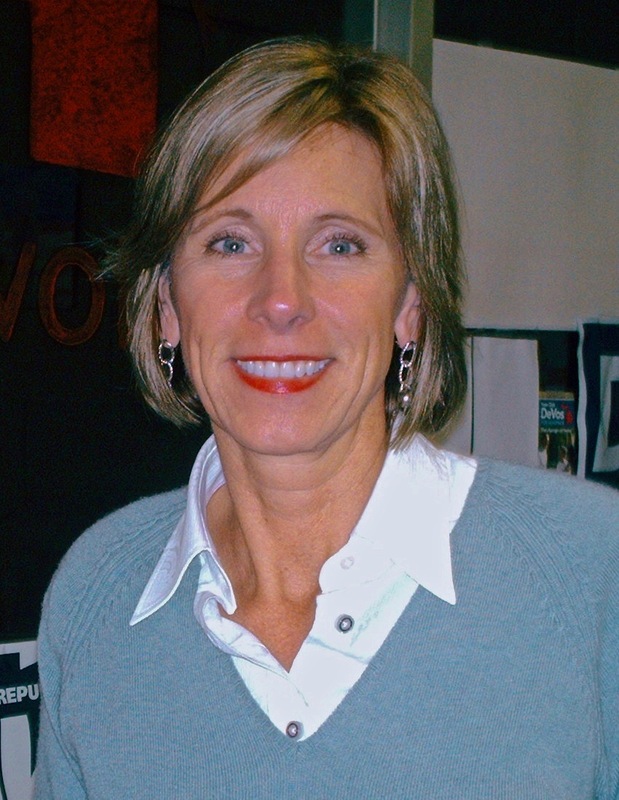 DeVos is known as a prominent supporter of so-called “school choice” policies, such as charter schools and vouchers that use public money to pay for students’ private school tuition or home schooling expenses. The Senate committee says it rescheduled DeVos’ confirmation hearing to accommodate the Senate schedule. The move followed concerns from Senate Democrats that DeVos should not be confirmed until the federal Office of Government Ethics finishes reviewing documents she submitted for potential conflicts of interest. The National Education Association and the American Federation of Teachers, the nation’s two largest teachers unions, oppose DeVos’ confirmation. The New Hyde Park-Garden City Park school board also held the first public budget input session on Monday as district officials develop the budget for the 2017-18 school year. Ryan McNeely, 12, a former student at the New Hyde Park Road School, addressed the board for the third year in a row, asking for continued funding of music education and special education. His mother, Jill McNeely, expressed support for her son and those who are parents of special needs children. Music education and special education have benefited her son’s education, she said. “He needs those two programs to get through school,” Jill McNeely said. School district Superintendent Robert Katulak said the board has no interest in reducing the budget for music programs or special education. Other parents, such as Danielle Fagan and Shari Hargrove, said they want to continue to see small class sizes and science, technology, engineering, arts and mathematics, or STEAM, programs in classrooms. The district is currently implementing project-based learning through updated technology in the classrooms, educational software programs and comprehensive learning programs, he said. As a resident of New Hyde Park, a parent of two adult children who attended the local schools with great success, and an educator, I totally support the decision by the school board to oppose DeVos. Keep up the great work, supporting our kids and public education.